The Foundation for Development Planning, Inc (FDPI) collaborates with organizations in the public, private, and civil society sectors to establish and support collective impact processes needed to produce large-scale social changes. 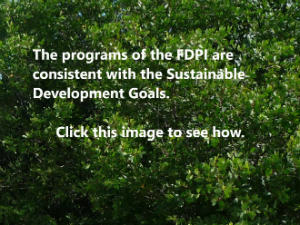 FDPI’s Program of Work directly supports Caribbean development priorities, and is consistent with the 2030 Agenda for Sustainable Development. The value of donating to the FDPI is that your financial contributions will enhance outcomes from, and impact of, Caribbean development initiatives at the local, national, and regional levels. St. Thomas, U.S. Virgin Islands 00802, U.S.A.